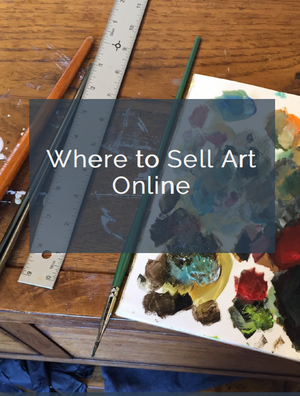 Despite what the tech pundits will have you believe, there is still a place for traditional media in your art marketing arsenal. When you need a potent device for bringing your message offline and putting it on the doorstep of your community, look no further than the press release. Unlike social media, upon which you can publish anything you want, getting coverage in traditional media has to be earned. That means your press release has to be well-written, newsworthy and of interest to the community of readers. The following tips and guidelines will increase your chances of getting published with every compelling press release you write. To a journalist’s trained eye, if it don’t LOOK like a press release, it ain’t a press release. Adhere to the following guidelines so your press release doesn’t end up in the journalist’s circular file (i.e., trash can) at first glance. Contact Info – Make sure the recipient knows who you are and how to contact you by placing all your contact info (name, title, address, phone number, email and website) flush left at the top of the page. Make it easy for an editor to reach you if she needs clarification or an additional quote. Headline – Crafting an arresting headline is an art in itself. This is your first chance to grab your reader’s attention, so you need to make it count. Unfortunately, self-aggrandizing hyperbole is not allowed in journalism, so you must you straddle the line between provocative and understated when writing for traditional media outlets. Limit your headline to one short, punchy sentence and ditch all those “little” words that just take up space. Use title case, which means capitalizing the first letter of all nouns, verbs, adjectives, and adverbs. And, no matter how stoked you are, avoid using exclamation marks anywhere in your press release! Intro and Body Copy – Your press release should begin with a strong introductory paragraph that sums up the whole story you’re trying to tell. Even if readers just skim the first paragraph, they should still understand the highlights of your message. Your goal should be to inform, educate, and intrigue your readers. Think about your audience and make every effort to appeal to them while also hitting the Who, What, Where, When, and Why points along the way. Feel free to interject quotes from legitimate sources to back up your statements or strengthen your thesis. Talking about yourself in the third person usually results in sounding like a pompous twit, but it’s mandatory when writing your press release. Remember, there is no “I” in “Press Release,” unless your are quoting yourself, which is acceptable, if slightly meta. Boilerplate – The boilerplate is the final paragraph of a press release, and can be a brief bio about the artist, gallery or business featured in the announcement. The end of the boilerplate is a good place to include a call to action to visit your website. Once you have a solid boilerplate, you can use it to end every press release. End or Close – A press release should always end with the traditional close symbol “###” (three hashtags) centered at the bottom of the page. Wow, these journalists are so #oldschool, they were using hashtags before hashtags were cool! Once you’ve got the formatting down, you need to make sure the content passes the “Why should I care?” test. Your release actually has to be considered “news” and not come off as a promotional puff piece that doesn’t benefit the readers. Some of the following tips and topics have worked well for me and for plenty of other artists when trying to get press. Community Angle – If your news benefits the community in any way, consider it PR gold. This is especially true when it comes to local newspapers. This could be anything from hosting a local workshop, to offering painting lessons, or producing a public work of art. Entertainment Options – People look to community calendars and events pages to get ideas of enjoyable activities to partake in, so a press release about an upcoming show at a local gallery will usually be published if it’s written and formatted well. Human Interest – Generally, people want to read about success stories, so any article using a “local artist makes good” angle can be effective. Same goes for interesting artist profiles, or stories about struggle that end in the artist overcoming the odds and reaching a goal that presented a challenge. Truly Newsworthy – Once in a while, you may be involved in a project or event that is so different, innovative or new that it truly is considered “news.” This happened to me when I was invited to partake in the first Pecha Kucha event in the northern California area. I crafted a release with the headline, “Is Pecha Kucha the New Karaoke?” which educated and informed the audience about what Pecha Kucha was and highlighted info about me as the local artist who was taking part in this cool new event. Writing effective press releases takes plenty of thought and effort. However, once you develop a press-release formula that works, you can simply duplicate that formula and insert the new information rather than having to reinvent the wheel each time. Try crafting potent press releases for use in your art marketing strategy and watch for a notable surge of interest and opportunities from your offline community. Visual Aid: View an example of a properly formatted press release that got coverage in several outlets. Nikolas Allen is a contemporary Pop artist with a background in advertising, music and video production. He is passionate about art and marketing and wrote his first book, “Death To The Starving Artist – Art Marketing Strategies for a Killer Creative Career” to help ambitious artists reach a wider audience. To learn more about the book, visit Death to the Starving Artist. Image: “Extra! Extra!” ©2013 by Nikolas Allen. Thank you; this is very useful! Though I speak only for myself, I imagine most of us have found ourselves in scenarios in which the sponsor/organizer of an event hasn’t done adequate publicity, with predictable results. Do you think it will offend organizers if you offer to take some publicity tasks into your own hands and send out such press releases? I don’t mean sending to one’s own mailing list, but to the press in an area where you may not be as well known? Nancy, Glad you enjoyed the post! I’ve never had a gallery owner balk at my additional promotional activity. In fact, most will be happy that you are being proactive and not leaving it all up to them. If there is any question, certainly ask the gallery if it’s okay, as sometimes there are certain brand guidelines they might wish to follow. Otherwise, craft your release and submit to your entire network of contacts, media and social connections. The more marketing efforts expended, the better the turnout for your event – and no gallery owner is going to argue with that! thanks for the straightforward & fun tips! Lots of advice on this, but you really kept the press release format simple. Yes, this post is loaded with info so it might be a good one to bookmark. Like any skill worth having, learning to write a killer press release takes time – but once you nail the proper format, you’re half way home. Thanks so much! perfect timing on this one. I love the “why should I care” test. Hey Lisa, glad this post arrived at the right time for you! YES, that is the primary test your release must pass. It’s not always easy to be objective about our own art/event/promo, but it’s essential that we are. Thanks for the comment. Thanks Nikolas, It’s great to have this spelled out. I’ve been writing press releases for my art practice for many years without any formal guidance and have been lucky enough to get most into the local papers. This will help me do a much better job. I love the structure and pointers to what to think about. With two exhibitions in the coming few months the timing is perfect. You are welcome, Marta! Congratulations on your consistent marketing efforts over the years. Sounds like you’ve been doing well. Hope these pointers help you craft some even more superb & effective releases for your upcoming shows!